Ta funkcionalnost je na voljo v razširjenem katalogu! 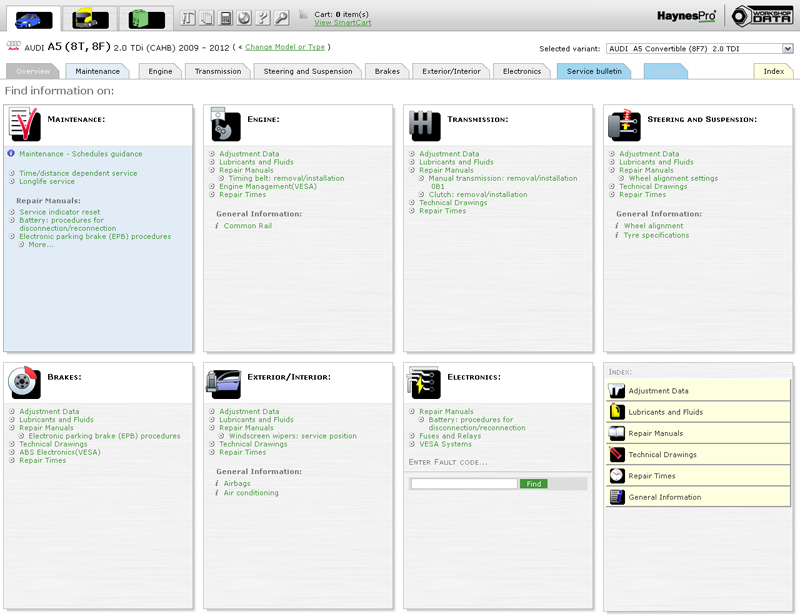 HaynesPro WorkshopData™ - Car Edition is the flagship product of HaynesPro. Since our launch in 1995, we have been serving the professional automotive market with our technical database for cars and light commercial vehicles. HaynesPro is committed to providing independent workshops with products which will enable them to work more efficiently and improve their profitability by saving time on finding essential automotive technical data. 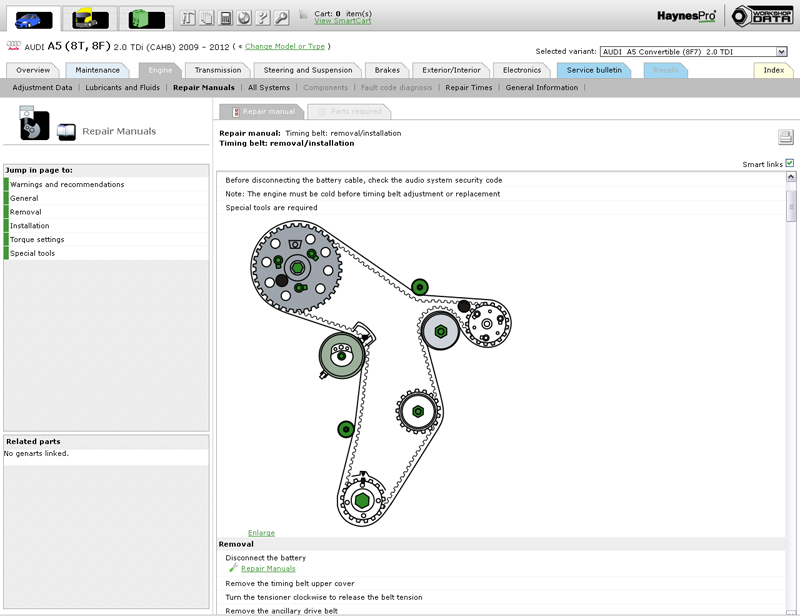 HaynesPro WorkshopData™ - Car Edition combines essential maintenance and repair data with detailed technical drawings, a unique electronics data module and intelligent diagnostics. It allows parts distributors to provide the perfect solution, enabling mechanics to diagnose, maintain and repair passenger cars and light commercial vehicles. 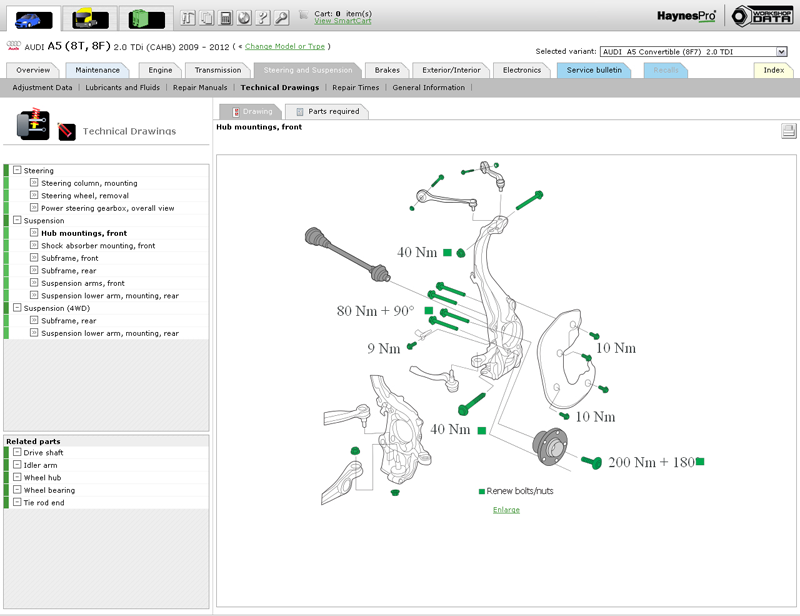 The information in HaynesPro WorkshopData™ - Car Edition is based on the OEM (Original Equipment Manufacturer) documentation.